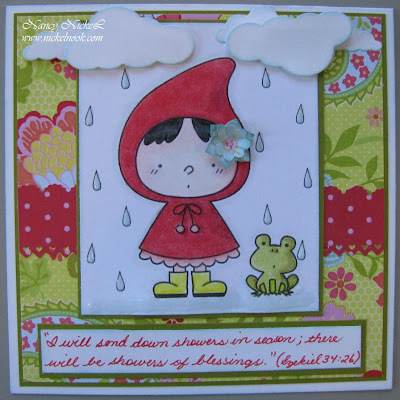 Nancy created this adorable card with Rainy Day digi. I love the way she added the clouds to the top of the image, and the little flower is so adorable. Please pop over to Nancy's blog to leave a comment for her! A fabulous card, so adorable!